When you include the word, “fantastic,” in your film’s title, you better live up to the promise. 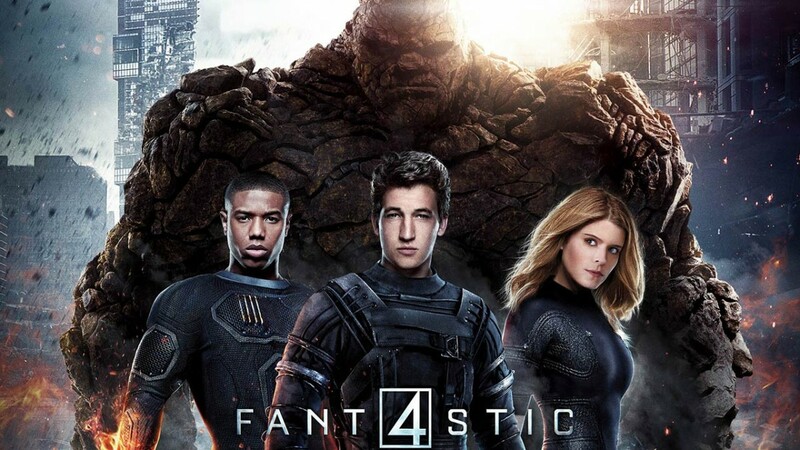 Fox’s 2015 Fantastic Four movie is lacking in the “fantastic” element in this boring, half-baked reboot of the Cosmic Quartet that strays from its source material. There are plenty of negative reviews for Fox’s most-recent adaptation of Marvel’s first family. It is hard not to be negative when compared to the success of Disney’s Marvel Cinematic Universe or Sony’s X-Men franchise. But where Disney can weave an obscure property like Ant-Man or Guardians of the Galaxy into box-office gold, Fox crashes the Marvel flagship straight into the ground. Where did it go wrong? Here are a few key aspects where the film strayed far from the comic book core elements, to its detriment. The Fantastic Four film explores a realistic approach to Marvel’s first family. In doing so, the movie sets limitations, preventing the hyperbolic worlds-spanning universe of the comics. It replaces the colorful and immense world of a science-fiction adventure with a monochromatic, cold, sterile lab environment. The newly discovered dimension explored in the film is not anymore impressive than a ride at Disney World. The vaunted exploration of the film’s protagonists is merely a typical Wednesday morning jaunt in the comics. At its core, the Fantastic Four is a family with amazing powers and intelligence, exploring the unknown. Yet, there is no heart to this family. Granted, this is the team’s origin story, but there is so much focus on how and what they came to be, that there is little dedicated to who and why these four are fantastic. Even more anticlimactic, the “four,” as a quartet, join forces only in the last 15 minutes of this disaster. With 50 years of comic history and source material, each personality ends up flat. Halfway through the movie, I did not care about these characters. Most disappointing was Ben Grimm — the iconic orange rock man — as the Thing. In the comic book, Grimm is an extroverted, boisterous, fun-loving lion of a personality. He’s brawny, but down to earth. His street-savvy language and wit are the perfect foil for Richards’ superfluous scientific babble. Yet, the film portrays Grimm as little more than Richards’ childhood best friend, who happens to tag along during their exploration into the new dimension. There is so little dialogue between super-nerd Richards and introverted Grimm, it’s uncertain why they are friends. He seems like a footnote of a character. 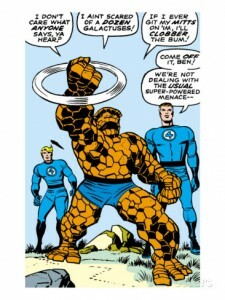 When The Thing spouts his most famous comic book catch phrase, “It’s clobberin’ time,” it seems to come out of nowhere. 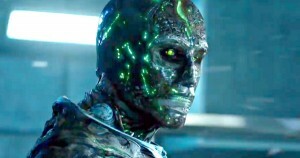 A superhero movie needs a supervillain, yet the film’s depiction of Doctor Doom is a total failure. 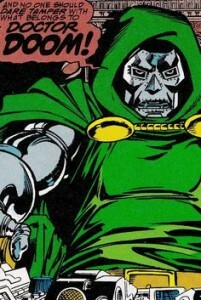 Doom is arguably the most powerful and megalomaniacal supervillain in the Marvel comic book universe. He is a genius-level inventor equal to Reed Richards. On top of that, he is a sorcerer and the monarch of a small Eastern European country. His ambition is limited by his arrogance. The disdainful visage on his green-cloaked metal mask are as iconic as the Thing’s orange rock skin or Spider-Man’s webs. The film totally eschews the traditional portrayal. Instead, the audience is presented with an unimpressive, angsty computer-genius jerk. He’s a rebel who works with Richards and the team to perfect the dimensional transporter he originally designed. SPOILER ALERT: After being lost in the expedition to the new dimension that gives the Four their powers, Doom is rediscovered a year later. The mysterious energy of the planet has transformed Doom, melding his space suit to his skin, giving him a horrific B-movie look seemingly controlled by the energy of the other-dimensional planet. He has telekinetic powers and is intent on destroying Earth in order to prevent his dimension from being plundered. The film does not seem to identify who the antagonist or villain is for most of its length and the all-powerful Doom is introduced near the end of the movie, to provide a concluding conflict and climactic battle. This semi-righteous eco-protector is an affront to every thing wonderful about the back-stabbing, narcissistic, all-powerful, most dangerous prick in the Marvel Comics Universe. Comic book Doctor Doom would create a dimensional portal to find cinematic Doctor Doom and destroy him for defiling the Doom name. So many missed opportunities for adventures with compelling characters makes for a superhero film sorely lacking the “super” and “heroics.” I can only hope the studios involved learn from their mistakes and make a proper Fantastic Four movie with the next re-reboot.